A number of prominent game developers in the U.K. complain that higher education doesn't teach future designers the skills they really need. Many universities are adopting videogame design coursework in order to draw more students to their school. The problem is that many of these courses don't teach anything about really making games. U.K. developers like Peter Molyneux and Eidos president Ian Livingstone said that universities in England need to reach out and create a dialogue with the gaming industry. "The problem with a lot of universities is they offer sort of generalist courses," Livingstone said. "They've crossed out the word media studies and put computer game studies. But they haven't actually had a dialogue with industry. We do not need them teaching a philosophy about games, we need computer science, art and animation." On the other hand, Peter Molyneux took a break from developing Fable III to say that some programs don't progress with the industry. "The games industry changes so quickly that, by the time a student has gone through their three year course, the games industry could have changed radically," he said. Students of videogame programs are not sure that they are getting the education that they need either. "I've had friends at other universities that were a bit disillusioned by them, finding they were generally a lot of theory and they just ended up essentially being able to review games by the end of it," one student said. In order to improve their programs, these universities need to reach out to the videogame industry to see what kind of skills are necessary, but it's also up to the game industry to exert some influence on higher education. I know their schedules are already pretty busy, but I'd love to see retired designers start up videogame design programs instead of these students learning from people who may have never worked in the industry. 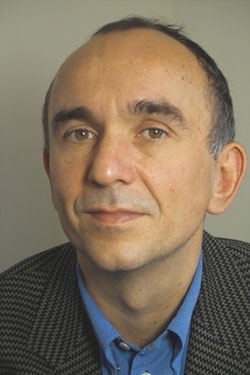 Game Design 101 with Peter Molyneux? Sign me up.